Gotham Psychotherapy recommends the following treatment providers for your medication and wellness needs. Sharon is a board certified psychiatric nurse practitioner. She provides medication management to ensure her patients are receiving optimal therapeutic outcomes for the prescription medications that they may be taking. Sharon specializes in the treatment of depression, anxiety, attention deficit disorder, schizophrenia, post traumatic stress disorder, disruptive behaviors, insomnia, weight management, and evaluation and certification to purchase medical marijuana products in New York State. To schedule an appointment with Sharon, please view her website at Private Practice Center. Libby is a board certified nurse practitioner. She provides Botox to soften and smooth harsh lines and wrinkles, and Juvéderm® to fill in wrinkles and fine lines to or plump the lips. 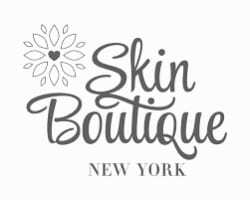 To schedule an online appointment with Libby, please view her website at Skin Boutique.